Julian Assange used the Ecuadorian embassy in London as a “centre for spying”, the country’s leader has said. Lenin Moreno also said no other nation had influenced the decision to revoke the WikiLeaks founder’s asylum, which he said followed violations by Assange. Speaking to the Guardian, President Moreno claimed Ecuador’s old government provided facilities within the embassy “to interfere” with other states. Assange’s lawyer had earlier accused Ecuador of “outrageous allegations”. 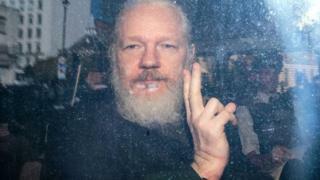 The president also made references to Assange’s apparently poor hygiene following allegations made by Ecuador’s interior minister, Maria Paula Romo. Assange’s lawyer, Jennifer Robinson, disputed the claims when she appeared on Sky’s Sophy Ridge On Sunday. She added that Assange’s fears of a US extradition threat were proved correct this week after allegations were made that he conspired to hack into a classified Pentagon computer. 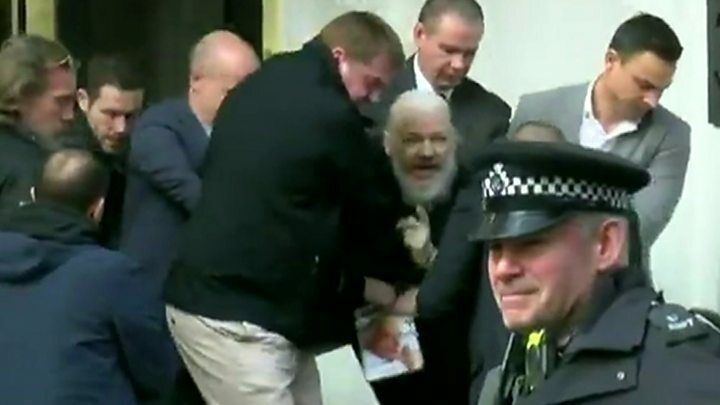 Assange, 47, faces up to 12 months in prison after being found guilty of breaching his bail conditions when he entered the Ecuadorian embassy in 2012.